I have been having so much fun brainstorming these themed grazing boards for holidays this year! 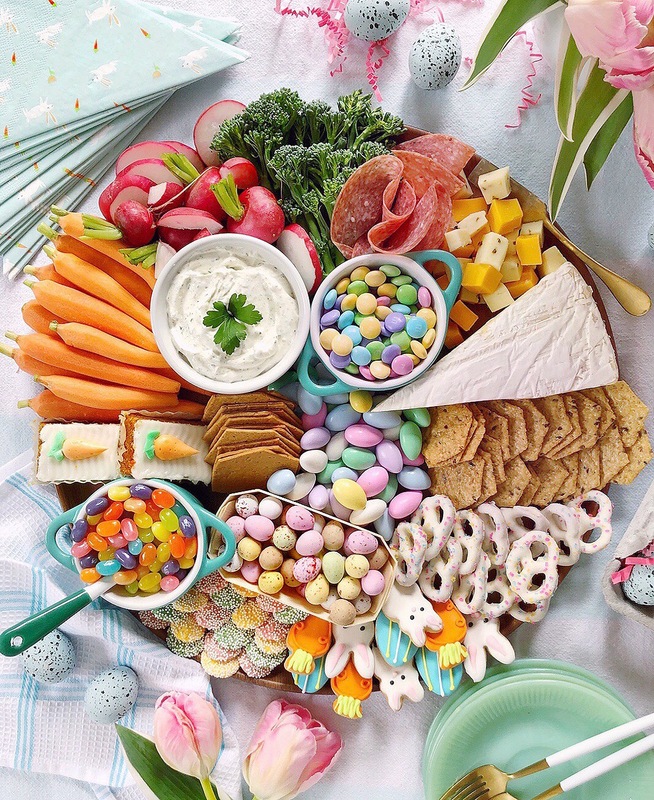 My Valentine’s Day cheese board was a big hit, I loved sharing my Oscar Night snack board, and I’ve even made a kid-friendly version full of toddler approved bites.With Easter coming up, I knew I had to make one with tons of spring-y veggies and pastel-colored candies! Here’s what I did to bring this theme to life: 1) I stuck to really beautiful, bright spring veggies and a cruditè dip that felt seasonally relevant; look for carrots and radishes with the greens still on them for a really fresh look! 2) I tucked in a few cheeses and crackers — when you want your board to look really visually appealing throughout the event, try pre-cutting the hard cheeses into slices or cubes so guests can easily grab a bite while keep the plate neat. 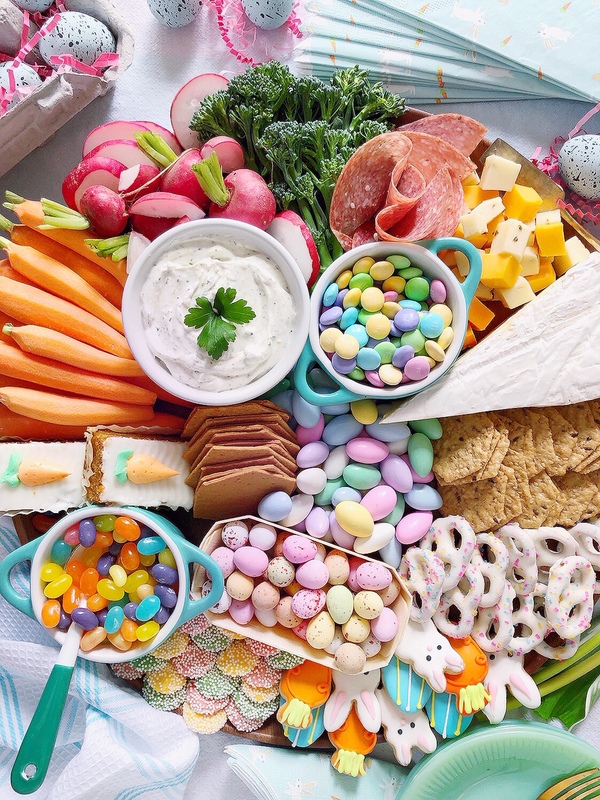 3) I brought in tons of pastel-colored Easter sweets like jelly beans, chocolates, themed-cookies and pastries, and colorful sprinkle-topped pretzels. Want to know my secret for finding really beautiful candies and sweets for holidays? Check the food aisle at Home Goods or Marshalls! They tend to have seasonal food items that look beautiful on these boards. Amazon always has great bulk candy options, and Williams-Sonoma is a great place to look for the seasonal cookies. 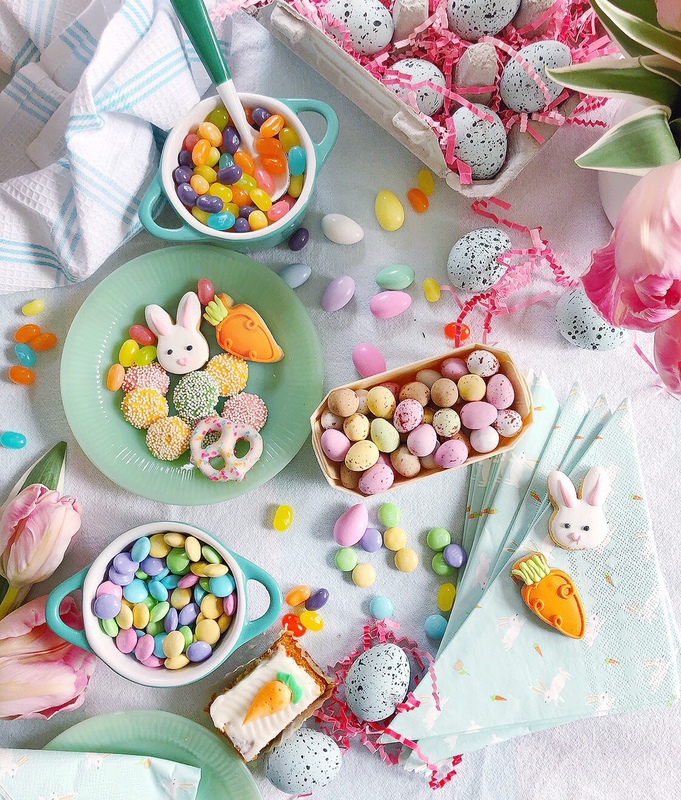 A few decorative robins eggs and some bright pink tulips finish off the scene for a table that is full of tasty, spring-y goodness for your Easter celebrations! 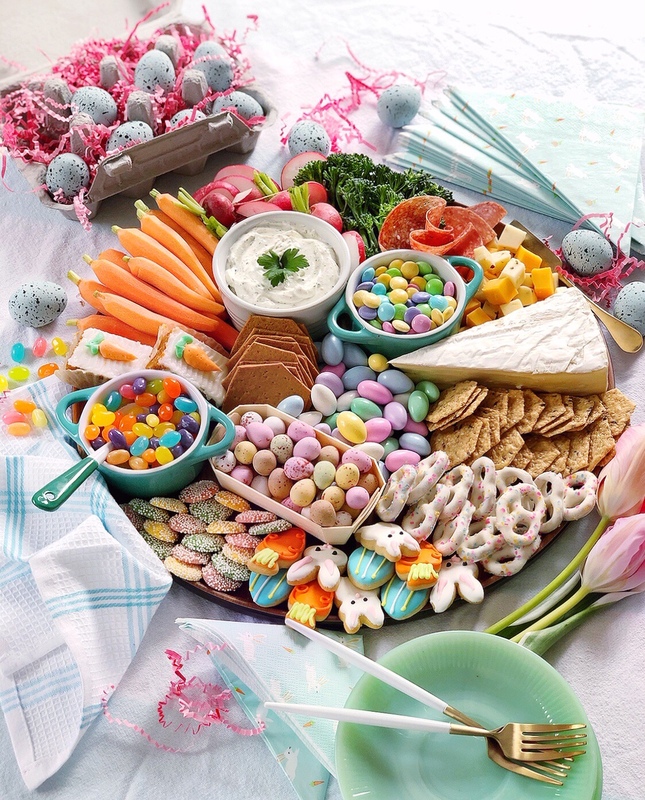 Toddler Snack Ideas for Easter. The Greenway Carousel. 2 Responses to "Easter Grazing Board." The bulk bins at my WinCo are always a great resource for seasonal candy. Oh we don’t have WinCo around here, I’ll have to look them up! Great advice!